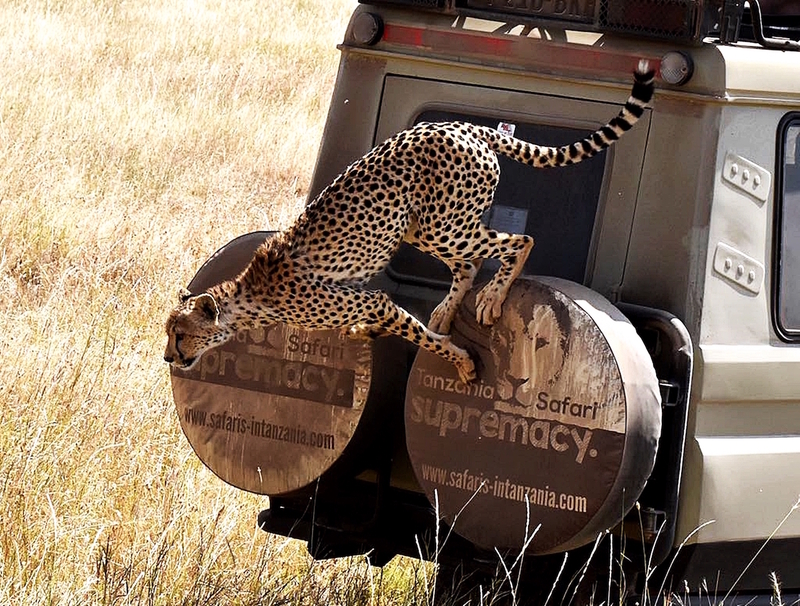 Tanzania Safari Serengeti 4 Days – Serengeti National Park is by no doubt the most famous safari destination in Tanzania and by extension Africa owing to the fact that Tanzania as a safari destination has been voted as the best safari destination for now more than 5 years in a row. Tanzania stands tall amongst its peers due mainly to fact it is home to best wildlife safari parks, with more than 35% of Tanzania’s land mass being dedicated to wildlife conservation in the form of national parks or conservation areas as well as concession areas. Serengeti National Park is the home for the world famous Wildebeest Migration which starts in the Ndutu Area in the southern plains of the park and gradually trekking miles and miles to ultimately cross the crocodile infested Mara river in what has become well known worldwide as the greatest wildlife spectacle. 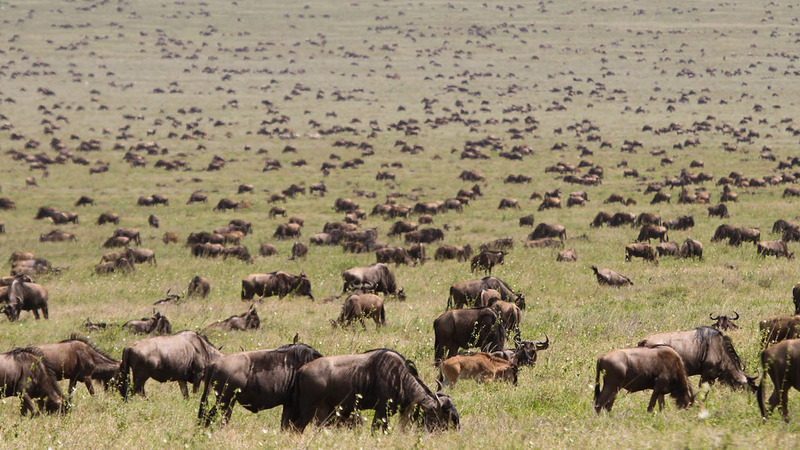 The Greatest Migration is cycle that goes on in the Serengeti for the better part of the year contrary to the belief by many that it is only the River crossing by the wildebeest at Mara River in the Northern Serengeti. 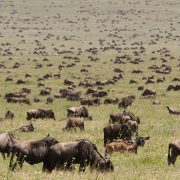 This Tanzania safari Serengeti package offers you literally a front row seat in witnessing the Wildebeests migration because we have included a camp at the central Serengeti area but on request and depending on the time of the year we can recommend for you staying at different parts of the Serengeti National Park due to the vastness of the plains. Please contact our for more advise on how to spend your best Tanzania Safari in Serengeti. 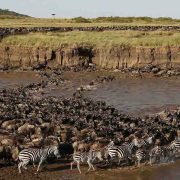 Among the wildlife that you can spot on this Tanzania Safari Serengeti Package includes the Wildebeest of course but also the big fie including the Lions, elephants, Buffaloes, Leopards and rhinos if you can venture in the far flung areas like the Moru Kopjes. 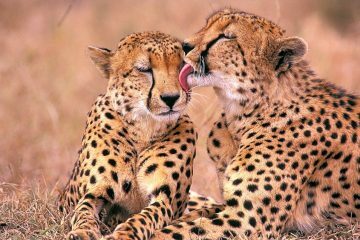 Other animals that can be spotted here include big cats like the cheetahs (fastest mammal on planet earth), big game like topis, elands, giraffes, hartebeests, zebras, and other antelopes like the impalas, grants gazelles, Thompsons gazelles among many other animal species. Serengeti is also a birders haven with more than 350 bird species recorded already in the Serengeti National Park. During this Tanzania Safari in Serengeti you can do both lodging or basic camping safari where you camp in the middle of nowhere close to nature in one of various campsites designated in the park. If you want a lodging safari it is possible to stay in a Mid-range tented camp, Semi- Luxury, or Standard Luxury tented camps or even in the Top Market / High end Camps that you can think of in this world. Just get in touch with one of our experts for free advice and quotation for your next Tanzania Safari in Serengeti. Pick up from your Hotel in Arusha (or Moshi) or from the Kilimanjaro International Airport of Domestic Airport of Arusha (if you arrive early) and you will be on your way to the Serengeti national Park, a considerably long drive that will take you around 6 hours to the parks gate. 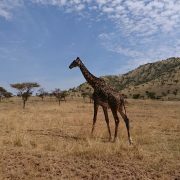 After registration at the Naabi Hill Gate you will start on your first safari, game drive, right away with plenty of animals to see in this afternoon on arrival. Later in the afternoon you will drive with sunset game viewing on your way to your campsite (if on a camping safari) or tented lodge or lodge if going on a lodging safari. 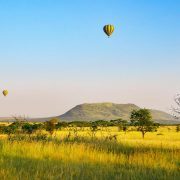 Overnight at Thorntree Camp or Serengeti Tortilis Camp or Green Hills Tented camp or similar camp. 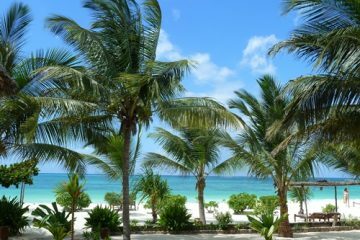 You can stay in a semi-luxury or standard luxury or top end lodging, and we can arrange this safari for you to start from Zanzibar of fly in from Dar es Salaam. These two days you can do daily early morning game drives at sunrise if you wish then after breakfast at the lodge / camp then you will be able to spend the next two full days in the vast plains of the Serengeti National Park with game drives the whole day or you can choose to do morning game drives and sunset game drives with a mi-day interval for lunch at your camp as well as some relaxation. 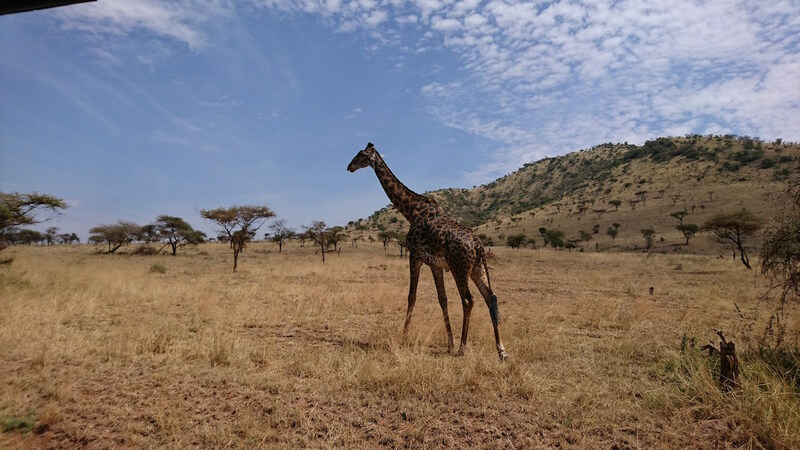 If you are on a full day game drive your lunch will be at a one of the many picnic sites where you can step out of the jeep and stretch your legs as as well. 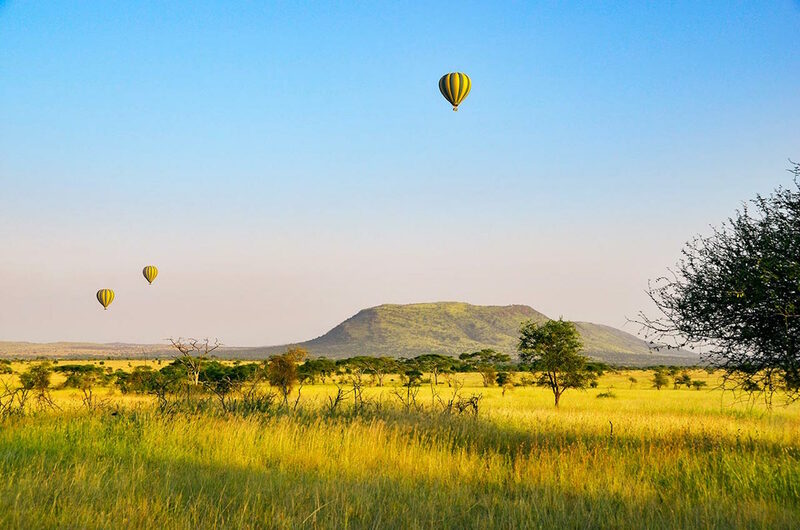 Depending on the time of the year you can explore the central Serengeti in areas bordering and including the Seronera Valley or the Eastern, or Western or Northern Serengeti. Dinner and overnight will be at Thorntree Camp or Serengeti Tortilis Camp or Green Hills Tented camp or similar camp. On this day too you may go for your last early morning game drive if you wish then after breakfast check out of your lodge or tented camp or campsite and drive slowly with game viewing on your way to the Airstrip where you can take a flight back to Arusha or depending on your plans fly to Zanzibar or Dar es Salaam (with extra charge for the flight). If you wish you will be driven out through the Naabi Hill gate and drive back through the Ngorongoro Conservation area and arrive back at Arusha later in the afternoon where the safari ends. 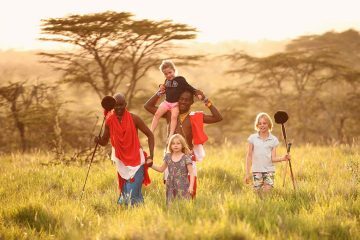 This 4 days Tanzania safari in Serengeti can easily be combined with a beach vacation in the Zanzibar Island or you can do this a part of a combined Mt Kilimanjaro climbing and Tanzania Safari tour. Just ask for customization from our safari experts and they will be able to offer you free advice and customization of your itinerary. Please request for Flights Prices to be included if you are flying in from Zanzibar or Dar es Salaam. * You can stay at Semi-luxury or standard luxury or top market / high end lodges or tented camp . Please request. *Cheaper options also available at Serengeti including staying at one of the public campsites if you wish to do a basic camping safari for the same 4 day Tanzania safari Serengeti.